Real food is anything that you can grow in a garden, or pick off a tree. Can you picture a field of marsh mellows, or tree full of cheetos? Real food is food that God created for us to eat. 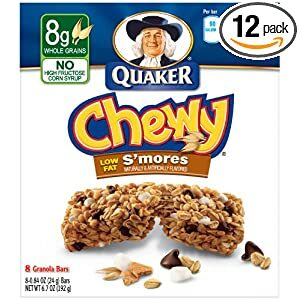 Food that is closest to it’s original state. A strawberry pop tart is not real food. A strawberry is. Some good questions to ask your self when deciding what to eat are; would my grandmother recognize this as food, and could I make this at home? Would your great grandmother know what a gogurt is? Processed food is the opposite of real food. Processed food is food that has been so refined leaving nothing left the body can use. To digest processed food your body has to pull valuable nutrients from other organs to break it down and utilize it. This depletes your body and leaves you still craving food, real food. In a nutshell processed food isn’t really “food” at all it was created in a chemical lab and your body can’t use it. Just like a car can’t run on apple juice, don’t expect your body to run on wonder bread. So at the grocery store how do you know if something is real food approved or not? Read the labels. Before becoming aware of all of the processed junk that is in our food, I only looked at calories, carbs, and how much fat was in what I was buying(if I even looked at that). I never looked at the actual ingredients. This is the key to figuring out if the product is worth your dollars or not. In a box of Jiffy cornbread mix I bought all of the time t I was disgusted to find all of the ingredients it had in it. One of those being HYDROGENATED LARD in it, how is that fuel for your body? My rule of thumb when I buy something is to look at the INGREDIENTS if they are recognizable, and preferably 5 or less. Granola (Whole Grain Rolled Oats, Sugar, Rice Flour, Whole Grain Rolled Wheat, Partially Hydrogenated Soybean and Cottonseed Oils (Adds A Dietarily Insignificant Amount of Trans Fat) With Tbhq and Citric Acid Added to Preserve Freshness and/or Sunflower Oil With Natural Tocopherol Added to Preserve Freshness, Whole Wheat Flour, Molasses, Sodium Bicarbonate, Soy Lecithin, Caramel Color, Barley Malt, Salt, Nonfat Dry Milk), Corn Syrup, Crisp Rice (Rice, Sugar, Salt, Barley Malt), Semisweet Chocolate Chips (Sugar, Chocolate Liquor, Cocoa Butter, Soy Lecithin, Vanilla Extract), Sugar, Dehydrated Marshmallows (Sugar, Com Syrup, Modified Food Starch, Gelatin, Artificial and Natural Flavor, Sodium Hexametaphosphate, Blue 1), Corn Syrup Solids, High Fructose Corn Syrup, Glycerin, Honey Graham Cracker Crumbs (Enriched Flour [Wheat Flour, Niacin (One of the B Vitamins), Reduced Iron, Thiamin Mononitrate (One of the B Vitamins), Riboflavin (One of the B Vitamins), Folic Acid (One of the B Vitamins)], High Fructose Corn Syrup, Graham Flour, Partially Hydrogenated Vegetable Shortening [Soybean and/or Cottonseed Oils] (Adds A Dietarily Insignificant Amount of Trans Fat), Baking Soda, Salt, Honey), Sorbitol, Calcium Carbonate, Salt, Water, Natural and Artificial Flavors, Molasses, Soy Lecithin, Bht (A Preservative), Citric Acid. Note: the packaging says that it is trans fat free but in the ingredients it says partially hydrogenated soybean oil that IS a trans fat. You can even make your own lara bars. Super easy and saves you a ton of money too. Most people are overweight not because of HOW much they eat but WHAT they are eating. All calories are NOT created equal. Both of these bars have roughly the same amount of calories. The nutrients and vitamins between the two bars are VERY different. You need to eat food that will fuel your body’s needs and not leave you craving more. This entry was posted in Real Food Basics. Bookmark the permalink. 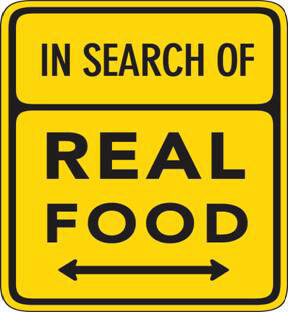 10 Responses to What Is Real Food? This is a great summary! I love the visual of the 2 lists of ingredients. Since switching my family over to real food, I’ve found that when I’m shopping I just have to glance at the list of ingredients to know if an item is real food or not. If there are more than a couple lines of text in the ingredient list, there’s no need to bother reading further. It goes right back on the shelf. Annemarie- Thanks so much for visiting. I know it is a pretty quick discovery if it is good or not when you actually look at what is in it. I saw your blog with real food deals that is so great, I will be checking back for good deals. It is always nice to save money. All I changed was what I ate. (see Green Smoothie Girl’s Twelve Steps to Whole Foods) I did not exercise or figure carbs, proteins or fats. I just ate real food and I lost 60 pounds. Then I was excited about exercise! 🙂 Now I’m pregnant so the pounds are slowly creeping up, but for a great cause and in a much healthier body! I LOVE REAL FOOD!!! Sarah-what an amazing story. Isn’t it so nice that it is more simple than we make it. You don’t have to be a scientist to figure out what to eat, just eat real food. I would love to do a post on your story. Would you write me your story with a picture at desiree@unconventionkitchen.com. I think it is so motivating to people to see and hear people’s stories and the amazing changes that come from switching your diet. Way to go. What a lucky baby to have a mom that is eating great foods pregnant. Did you know taste buds start in the womb. Sorry Becky you are so right. I will change it. Thanks for your comment. Ha, I know what you mean about would our grandmothers recognize it, but even my grandmother made processed food. I typically ask myself, “Would old testament Israelites recognize this?” It’s the same concept. 🙂 I thought the other Becky’s comment was funny. HI Becky! Ha ha that is funny. True you seriously do have to go that far back :).